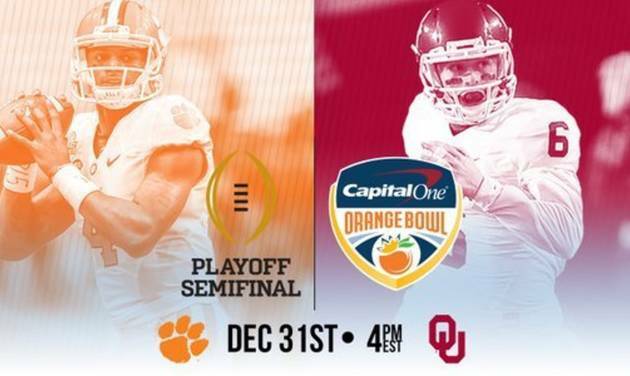 The Oklahoma-Clemson Orange Bowl game will kickoff at 3 p.m. CST in Miami, Fla. The Alabama-Michigan State Cotton Bowl game will be played at 7 p.m. CST in Arlington, Texas. Both national semifinal games will be broadcast on ESPN.